While we’re still waiting to see if predictions about Apple launching three new phones in 2018 are true, another iPhone rumor has cropped up foretelling a small change that could have a pretty big impact. 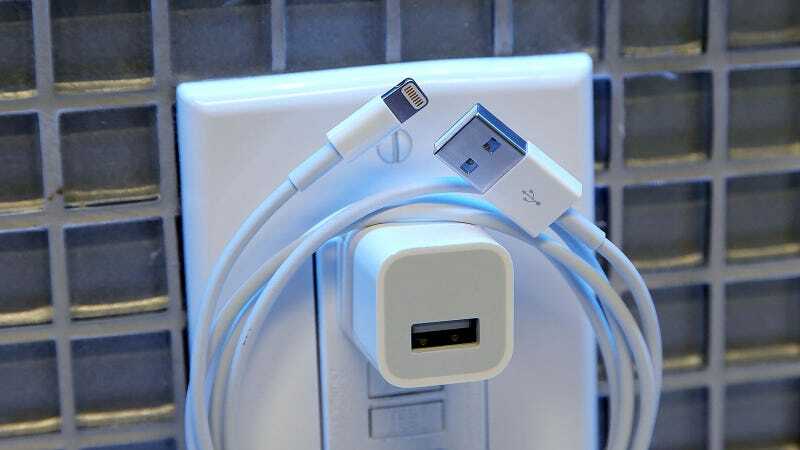 According to a post on Chinese social network Weibo (via MacRumors), it seems Apple is finally going to ditch its traditional USB Type-A charging bricks in favor of new models sporting a USB-C port. These rumors first popped up about three weeks ago, but gained even more momentum yesterday when Apple slashed the price of its 1-meter USB-C to Lighting cable from $35 to $19. Now this might not sound like a major departure from the status quo, because regardless of what gets plugged into the power brick, the other side of the cable (the one that gets inserted into the iPhone) still ends in a Lightning connector. But it’s not quite that simple. As we discovered last year, the only way to fast-charge an iPhone and get Apple’s promised charge time of 50 percent in just 30 minutes is by using a USB-C to Lighting cable. Old-fashion USB-A to Lighting cable just don’t carry enough juice. However, the cable is only one part of the charging puzzle, considering that without a power brick that can push out enough juice, you still won’t reach full fast-charging speeds. Thankfully, it seems that in the transition over the USB-C, Apple is also working on a new 18-watt USB-C power adapter that pumps out more than three times the amount of electricity as the standard 5-watt iPhone power brick. That’s a big deal, because currently, if you want to fast-charge an iPhone, you need replace both the power brick and cable that come packed with the phone with upgraded accessories that combined, can run you an extra $50 to $75. If these rumors are true, Apple is going to include both the rumored 18-watt power adapter and a USB-C to Lighting Cable in the box as standard on all 2018 iPhones, so you can get the best charging speeds possible without having to pay extra. Look, I know talking about charging speeds isn’t thrilling, but fully embracing USB-C is secretly one of the most important moves Apple could make in 2018. As and added benefit, by putting a USB-C to Lighting cable in every iPhone box, Apple would also be eliminating the need to use a dongle anytime you want to connect an iPhone to a late-model MacBook, which aside from the Air, have not featured USB-A ports since the 2016 refresh.